Jager Racing (JR): What is your car/ modifications? 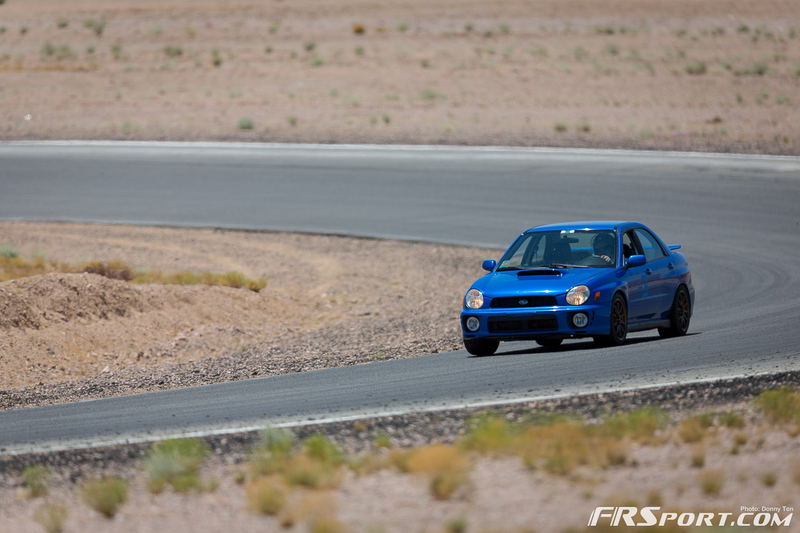 Ken Kasitz (KK): It’s a 2003 Subaru WRX, that I’ve basically made into an STi: JDM STi motor, USDM STi transmission, brakes, hubs, rear differential. I have done quite a lot to the suspension, which is too much to list, but the motor is stock with just an intake, exhaust and tune by Paul at Yimisport. JR: What kind of racing do you do? For how long? KK: I started out with Autocross during High School in a ’95 Honda Accord, did a few Autocross schools once I got the WRX then discovered the joys of track driving soon after. I am a competitive person and Time Attack looked like a good outlet to enjoy my car, get faster and keep improving as a driver. I actually did two of the very first Redline Time Attack events in 2005 and 2006, but took a break and it wasn’t until 2012 when I actually got back on the track. JR: What got you hooked?KK: My first event back from being away since 2006, I managed to spin a rod bearing in my 165k original motor, so I put in the JDM engine and went racing 5 months later. It was that event, where I entered the Xtremespeed AWD competition that really got me hooked. JR: Describe your most exhilarating track experience. KK: I’d say the most exhilarating track experience was Super Lap Battle this year. I had only read about it in the past and had always wanted to attend, so it was very exciting, more so because a car that I had put time and effort into was a front runner in the Street AWD class. The result was disappointing but it wasn’t due to the effort and dedication we put in all year. JR: What series are you competing in? Why did you choose this series? KK: Redline Time Attack. I will personally be competing in the Enthusiast AWD class this year. It was the premier time attack series in the United States and is rebuilding itself again. I see it continuing to grow in the future. There is also Global Time Attack, who put on Super Lap Battle, I don’t think I will run any of their events, just due to money, but I will be there helping out Jager Racing. JR: You’ve been an instrumental part of Jager Racing’s success. Tell us about what you do & how people can contact you if they would like you to work on their car. KK: I do suspension setup: Alignments, corner balancing all that good stuff! I have always been more interested in making a car handle well than adding power. I taught myself how to adjust suspension and get things working correctly over the years and really enjoy seeing the final product, great lap times and happy drivers. If you see me at the track, come say hi and if you want me to tinker with your car we can work something out. JR: What’s your biggest racing related goal for 2014? KK: To have fun. As long as I’m having fun racing then it makes the time, money and effort worth it. I also have some personal lap time goals for various tracks that I will try my best to achieve. JR: What’s the one improvement you think time attacks in general could make to better the experience/ scene? KK: Keep pushing the exposure of time attack, whether it be social media, magazines or television. Get people excited to come out and watch or participate in the events. There is a class for every car, set your personal goals and if you win or lose, have fun. Ken Kasitz is definitely one to watch this upcoming season! Thanks for giving us the time to interview you, Ken, and for all your work and dedication to time attacks and to Jager Racing.